So you've lost some weight, eh? So what! I don't mean to be harsh, but if you've lost some weight recently and have already started to pat yourself of the back, watch out. Because more often than not, people who lose weight gain it back and then some...and that is a disturbing fact about weight loss. I'm going to tell you exactly what you need to know to keep the fat off once you've lost it. So you've lost some weight, eh? So what! I don't mean to be harsh, but if you've lost some weight recently and have already started to pat yourself of the back, watch out. Because more often than not, people who lose weight gain it back and then some...and that is a disturbing fact about weight loss. How and why does this happen? I'm going to tell you exactly what you need to know to keep the fat off once you've lost it. This is a piece of the weight loss puzzle that many people don't pay much attention to. And it's called weight control. Or as I like to call it, weight loss's big brother. If you've ever lost weight before, chances are you've gained it back. And before you knew it, you were even heavier than before you started that weight loss diet or exercise program. All of that hard work and restrictive dieting with nothing to show for it. It's enough to drive a person right to the donut shop! Take it easy, there's a reason that this happens so frequently to those trying to lose weight around the world, and there's also a simple answer to ensure it doesn't happen to you again.There are basically two reasons why most people who've lost weight put it right back on. The primary reason is that most people who lose weight lose it because of following a diet. That's right, simply trying to adhere to a popular fad diet plan can actually prove counterproductive. Why?Most diets, especially the popular ones, are simply overly restrictive ways of controlling your calorie intake. They typically call for deleting various essential foods from your daily eating habits, and almost always included severe calorie reduction.These typical diet components can create fast weight loss to be sure, as you're taking in less calories than you're expending each day. But, no one in their right mind, or body, will stay on most popular diets for very long. They are not normal and your body is well aware of this. Once we go off the diet that created the quick weight loss and revert back to our old habits (including the increased calories) we gain the weight back, and fast. Surprise, surprise. We also add a little extra weight when coming off of that diet because our bodies are trying to overcompensate for the deprivation that was at hand during the dieting period. It makes perfect sense, doesn't it? This calls to attention the second reason we gain our weight back, and more, after going off of a diet. You body doesn't want to be deprived of certain food types. I'm talking about nutrient rich foods that our bodies were designed to thrive on, including quality whole grain based carbohydrates.Perfect evidence of this are the tens of thousands (several of my own acquaintances included) who have become low carbohydrate yo-yo dieters. 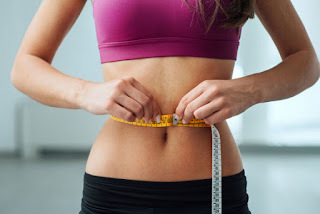 They lose 10-20 pounds seemingly overnight, but when their bodies can no longer withstand the deprivation, they resort back to their old eating habits and bodies.It should be obvious that this method of weight loss (typical fad dieting) is ineffective, because it doesn't last. What is essential for permanent weight loss is not a weight loss diet, but a proper weight control diet combined with the right exercise program. These are two very different things.I'm talking about a lifestyle change, where you adopt healthy eating and exercise habits into your life. This is the only true path to permanent fat loss.This can be accomplished on the diet side of things by:-Eating smaller meals more frequently-Counting portions instead of worrying about exact calories-Focusing on plant based foods like fruits and vegetables-Drinking plenty of water throughout the day (64oz. minimum) Taking this a step further, you can combine this healthy eating lifestyle with proper exercise to create a perpetual fat burning furnace in your body that continues to mobilize your stored body fat for energy 24 hours a day, 7 days a week. Now this is true weight control, where you're literally burning fat while sleeping.You'd be wise to heed this exercise advice when creating this weight control diet and exercise lifestyle:-Ignore long and frequent cardio workouts. They actually encourage your body to store fat.-Incorporate high intensity resistance training 2-3 times per week for about 15-25 minutes per session. You'll be building lean muscle and teaching your body to ignore fat as an energy source...the exact opposite of traditional cardio workouts. When you make these changes in your life, you're no longer dieting. You're no longer restricting the body of the nutrients it needs to succeed and as a result you lose weight naturally. You've created you own weight control diet, but it's not really a diet at all!Can you see how this will make a huge difference in your health and fitness and put an end to the lose some/gain more madness experienced by masses of dieters around the world today? Getting that lean and healthy body can be as simple as saying no to dieting and saying hello to a healthy eating lifestyle you can call your own. Now that is something that any big brother would be proud of.